A few miles from Tesla Motors Inc’s Palo Alto headquarters, a Silicon Valley startup plans to challenge the electric car maker with a rival family of vehicles designed and built in the United States with major backing from Chinese investors. Two of those startups are funded by the same Chinese internet billionaire backing Atieva. All three have opened technical facilities in Silicon Valley in the past year. Only one of those companies, Faraday Future, has said it also plans to build its electric vehicles in the United States. Unlike those companies, Atieva was started in California. Former executives from Tesla and Oracle launched it in late 2007, and hired several former Tesla hands including Atieva Chief Technology Officer Peter Rawlinson. With its first car still at least two years away from production, Atieva is using a Mercedes-Benz Vito commercial van to test the drivetrain: a pair of high-output electric motors, a lithium-ion battery pack, inverters and controllers. The drivetrain propels the van from zero to 60 mph in just 3.1 seconds, a fraction slower than the fastest Tesla Model S. Atieva’s 0-60 acceleration target for its 2018 sedan is 2.7 seconds, faster than a 12-cylinder Ferrari supercar. The Atieva sedan, being developed under the code name Project Cosmos, looks like a futuristic descendent of the Audi A7. Its headlamps are ultra-thin, with thousands of insect-inspired micro lenses. Its dashboard has a three-piece reconfigurable digital display that can be controlled by voice or touch. Atieva has raised several hundred million dollars from investors including Mitsui & Co Ltd , the Japanese trading giant, and Venrock, a Silicon Valley venture capital firm connected with the Rockefeller family that once funded Intel and Apple. Atieva’s launch schedule would add its new sedan to a bumper crop of electric luxury vehicles vying for customers in a rarified market Tesla now has largely to itself. This week, Daimler AG’s Mercedes luxury car brand said it would unveil in October a long-range electric car it intends to put on sale before 2020. German rivals Volkswagen AG and BMW AG have said they are also working on premium electric cars. Tesla did not reply to a request for comment about these would-be rivals, but the company is not sitting still and waiting for them to pounce. Chief Executive Officer Elon Musk raised $1.46 billion with a share sale last month, and outlined plans to launch a high-volume Model 3 sedan in 2017. Tesla’s lead in the electric luxury vehicle segment has bolstered the price of its shares, which remain more than double their level of three years ago despite a 9 percent decline for the year to date. As Atieva looks for where it will build its U.S. factory, manufacturing director Brian Barron says the company has narrowed its search to two sites and expects to choose later this year. Barron, who spent 20 years overseeing various BMW plants, said the factory will be designed to build 20,000 electric cars a year initially, ramping up in stages to 130,000 a year. Two of Atieva’s biggest shareholders are Chinese: State-owned Beijing Auto and a subsidiary of publicly traded LeEco, an internet company that has also declared it intends to offer an electric car. LeEco is controlled by Chinese tech entrepreneur Jia Yueting. Jia also controls Faraday Future, an electric vehicle startup whose U.S. headquarters is based near Los Angeles and which also shares space in LeEco’s San Jose technical center in Silicon Valley. A fourth Chinese-backed startup, NextEV, has a new San Jose facility near LeEco. NextEV is backed by Valley venture capital firm Sequoia Capital, which funded Google in its infancy. NextEV was launched in 2014 by William Li, the founder of Chinese website Bitauto, and financed in part by Tencent, the Chinese internet services provider. Atieva design vice president Derek Jenkins said the company will set itself apart from its Chinese rivals using its „California DNA“ and its „California mindset.“ He did not provide specifics, but Jenkins led the team that designed the latest Mazda MX-5 Miata roadster. Dieser Eintrag wurde veröffentlicht in e-mobility und getaggt mit Atieva, electric car makers am 15. Juni 2016 von innovation. In a breakthrough that is bound to catch the attention of the oil industry and even electric car makers, a company has just gained approval for its ‘salt water’ powered car in Europe. 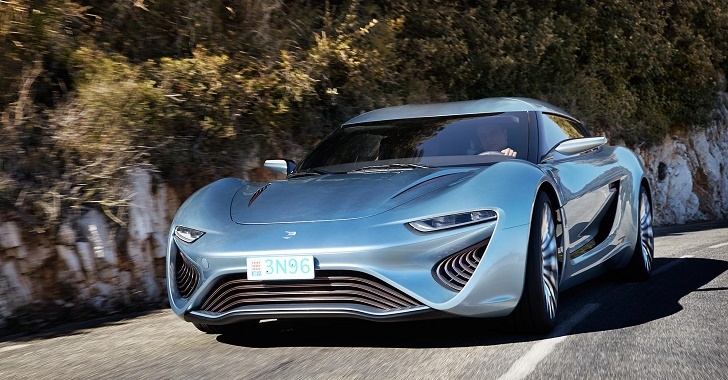 A car called the Quant e-Sportlimousine that was presented at the 2014 Geneva Motor Show is the first electric car powered by salt water and is now certified for use on European public roads. The car is powered by the electrolyte flow cell power system, which is a part of the NanoFlowcell technology. The system works in a similar way to a hydrogen fuel cell, except for the fact that salt water is used for storing power. In particular, two liquids with metallic salts, which act as the electrolyte, are combined in such a way that the electrochemical reaction takes place. After that, electric motors use this reaction to generate electricity, which is then stored and distributed by super capacitors. The efficiency of this system reaches 80%, since the car has almost no moving parts in it, and the produced waste heat is insignificant in comparison with cars powered by lithium-ion batteries. The company claims that the Quant e-Sportlimousine can reach the speed of 350 km/h (217.5 mph), accelerate from 0-100 in 2.8 seconds and has maximum power of 920 horsepower (680 kW). Moreover, the car is claimed to be able to travel up to 600 km (373 mi) with a full tank, which is five times greater than with a conventional battery system. At the same time, the car is safe to drive and environmentally friendly. However, the market price of the Quant e-Sportlimousine is estimated to exceed $1.7. It is not yet clear if the company plans to use the NanoFlowcell technology on more affordable cars, but it can be said for sure that this technology has a great potential and could be used in a wide range of applications which go beyond the automobile industry. Using this platform, the e-Sportlimousine is able to produce a massive amount of power while emitting zero emissions. While the e-Sportlimousine is bound to be very expensive, there is hope for the electrolyte flow cell power platform to be used more practically in the future. “Low cost”, that sounds good to me. Dieser Eintrag wurde veröffentlicht in e-mobility und getaggt mit Alternative, electric car makers, electrolyte, maximum power, Non-Oil Powered, Post-Fuel, Salt Water am 29. September 2014 von innovation.